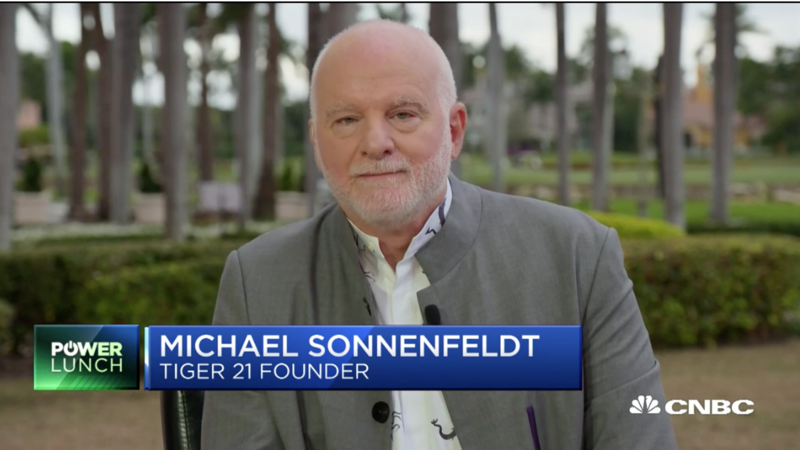 TIGER 21 Founder and President, Michael Sonnenfeldt, was interviewed live on CNBC's "Power Lunch" from the 2019 TIGER 21 Annual Conference regarding the ultra-wealthy and how they are investing their money. Asset allocation for the wealthy. Reactions to Sam Zell's TIGER 21 Annual Conference session on investing in real estate. Investing in gold and cannabis.